This series continues from Western Winners. 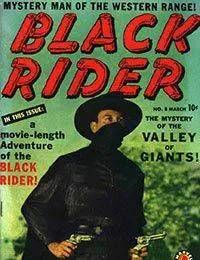 Black Riders numbering continues in Western Tales Of Black Rider with issue #28 and turns to Gunsmoke Wester with issue #32. Gunsmoke Western continues its 46 issue run up until July, 1963 with issue #77.